Based on the best-selling novel by Mary Ann Shaffer and Annie Barrows, The Guernsey Literary and Potato Peel Pie Society official trailer has been released for Netflix. Check it out now in the player below, as well as the poster and photos in the gallery! Directed by Mike Newell (Four Weddings and a Funeral, Harry Potter and the Goblet of Fire), the movie sees Lily James (Downton Abbey, Cinderella) play free-spirited writer Juliet Ashton, who forms a life-changing bond with the delightful and eccentric Guernsey Literary and Potato Peel Pie Society, when she decides to write about the book club they formed during the occupation of Guernsey in WWII. 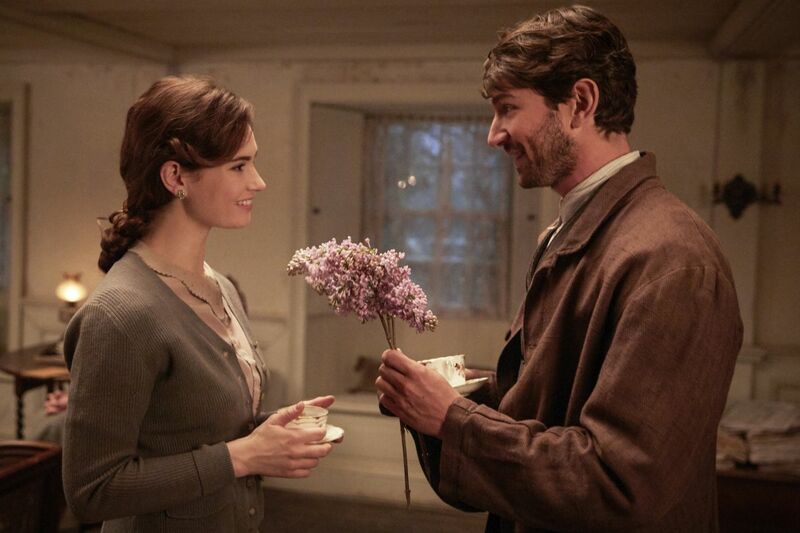 The film also stars Michiel Huisman (The Age of Adaline), Glen Powell (Set It Up, Everybody Wants Some), Matthew Goode (The Imitation Game, Downton Abbey), Jessica Brown Findlay (Victor Frankenstein, Downton Abbey), and Katherine Parkison (The IT Crowd, The Boat That Rocked), with Tom Courtenay (45 Years, Doctor Zhivago) and Penelope Wilton (The BFG, The Best Exotic Marigold Hotel). Written by Thomas Bezucha and Don Roos, the feature is produced by Paula Mazur, Graham Broadbent, Mitchell Kaplan, and Peter Czerzin. The Guernsey Literary and Potato Peel Pie Society will debut on Netflix on August 10. The post The Guernsey Literary and Potato Peel Pie Society Trailer Released appeared first on ComingSoon.net.